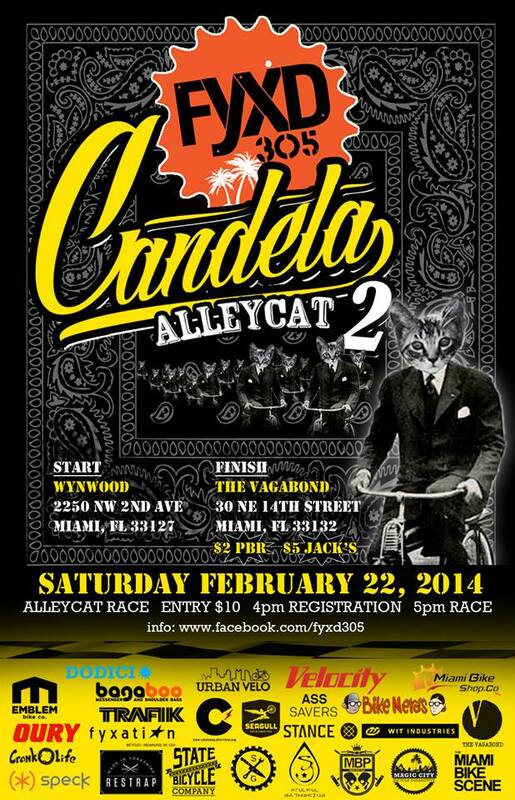 FYXD 305 and Soulful Gathering will be hosting an alleycat race on February 22nd. Registration is at 4pm and the race starts at 5pm. Expect to race through the streets of Miami while hitting up various checkpoints along the way, the alleycat will begin in Wynwood and end at The Vagabond. More information available on Facebook event page.